The U.S. Food and Drug Administration reviews and approves pharmaceutical fillers in the same manner as medical devices. However, some fillers may be used on an off-label basis, meaning they are approved medical treatments but not directly reviewed for a specific application. 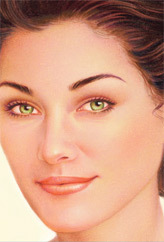 The options discussed in this brochure are among the current fillers preferred by plastic surgeons. Some are available for general use, others are not; regulatory status may be subject to change. Step 2. Strategic points on your face may be marked as guides to the appropriate injection sites for the dermal filler. 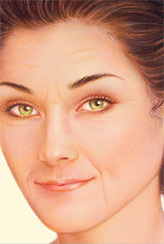 Filling wrinkles or recessed scars involves multiple cosmetic injections. In some cases where deeper injection of fillers is required, a local anesthetic may be used prior to treatment. The decision to have soft tissue augmentation is extremely personal and you’ll have to decide if the benefits will achieve your goals and if the risks and potential dermal filler side effects are acceptable. 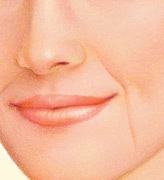 Although tissue augmentation is a quick, in-office procedure that can produce a marked improvement in restoring facial fullness and a more youthful appearance, effective and safe use requires a physician with specialized training and a thorough understanding of facial anatomy to recommend and inject an appropriate filler. It’s very important to ask your plastic surgeon questions about your tissue filler procedure. It’s natural to feel some anxiety, whether it’s excitement for your anticipated new look or a bit of preoperative stress. Don’t be shy about discussing these feelings with your plastic surgeon. Injectable filler results can change over time; as you age naturally, these fillers may shift or clump. Cost is always a consideration in elective surgery. Prices for injectable fillers can vary widely. A surgeon’s cost may also vary based on his or her experience as well as geographic office location. Many plastic surgeons offer patient financing plans to help with the cost of facial fillers, so be sure to ask.